Thanks to the efforts of tireless individuals from organizations such as Bloom and Sea Shepherd there are many more shark fin free banquet options in Hong Kong. Bloom has been instrumental in working behind the scenes to help hotels and restaurants understand this issue, while Gary Stokes of Sea Shepherd has been fearless in his own unique approach. 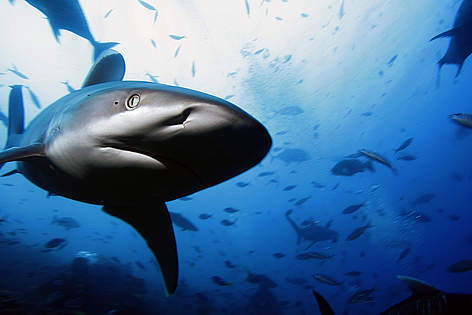 Studies show that predator shark species have all declined by 87-99%. This apex predator is critical to maintaining the balance of the ocean ecosystem. With the large sharks gone, other predators such as squids, rays and even smaller sharks are able to feast on commercially valuable species such as clams, scallops and lobsters. 1. Pledging not to eat shark fin soup. Do not give in to peer pressure and the easy excuse “its already dead, it won’t make any difference if I eat it or not”. Your actions matter. You can change the conversation and influence others. The other line you may hear is “it’s legal so it’s ok”. Actually, many places from Hawaii to Toronto have already banned shark fin and others are in progress. 2. Request an alternative. When invited to attend a wedding banquet ask if shark fin soup will be served. If it will, either decline to attend or ask the host to provide you with another option. Many hotels now have alternatives for those that don’t eat shark fin soup. It is not part of Chinese culture to eat shark fin unless you believe that you are an emperor – until recent times only emperors ate it. 3. Suggest a shark fin free location. Whether it’s a company event, wedding or other family celebration, recommend the hotels listed at the bottom of this article that do not serve shark fin soup, period. There are other hotels that have removed it from their menu, but still serve it upon request. 4. Sign a Petition. Dr. Giam has been a huge impediment to adding Sharks to the endangered species list. He says he represents “Asians”, and “Chinese” in particular. Lets send him a message and let him know – he really doesn’t represent us. It’s time for him to move on. Next Next post: Where to buy a cast iron pan?